Ayahuasca, an ancient Amazonian psychedelic tea, traditionally used ceremonially among indigenous peoples, has most recently become known as a possible treatment for a wide range of psychological and physical disorders. The awareness of this sacred medicine has grown exponentially over the past decade, attracting Westerners from a wide variety of backgrounds, hoping to find a cure for a myriad of illnesses. In the wake of the commercialization and westernization of the use of ayahuasca, and subsequent proliferation of the ayahuasca treatment center, this paper examines the benefits and possible risks of this form of therapy, in the effort to create a safety protocol for Westerners in this context. The most practical approach to increasing safety for Westerners attending these Amazonian treatment centers would be to educate the seeker prior to treatment and provide access to therapeutic aftercare services. Raven Renèe Ray is currently a graduate candidate in psychology at the Citadel in Charleston, SC, focusing on developing medical protocols for ayahuasca treatment centers. Raven has experience with a range of psychedelics, including ayahuasca. Her work is grounded in her spiritual life and her passion for helping others. 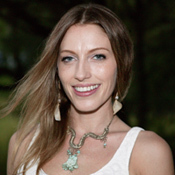 Raven’s role includes connecting therapists with seekers multi-nationally by developing an online referral system, growing a volunteer network of trained graduate psychology students to offer 24 hour support through use of the web forum, moderating the web forum, and putting together a board of advisors. She will also coordinate dialogue on best therapeutic practices among experienced psycho-integrative therapists.